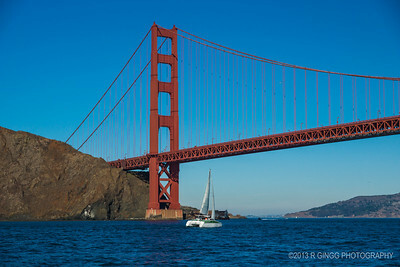 Heavy traffic under the bridge. 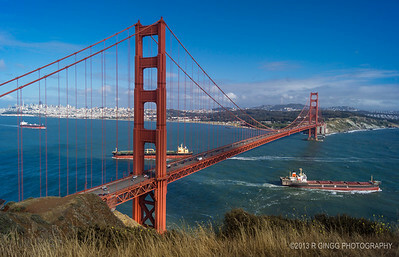 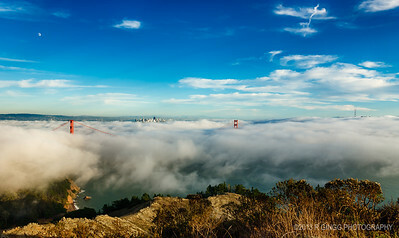 Panorama from Marin Headlands. 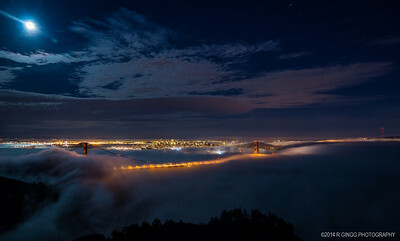 From 7 Vertical shots. 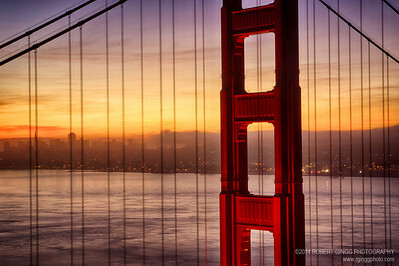 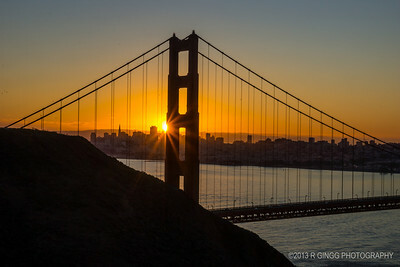 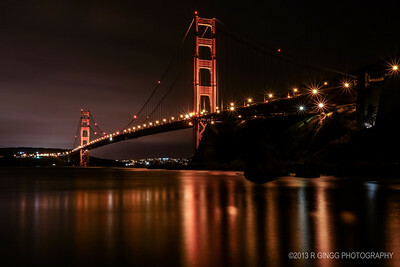 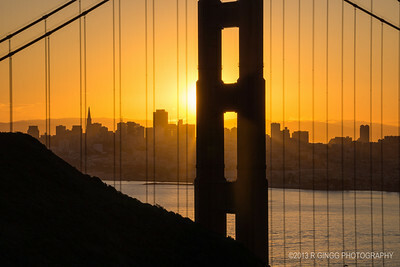 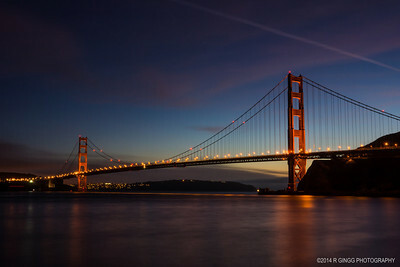 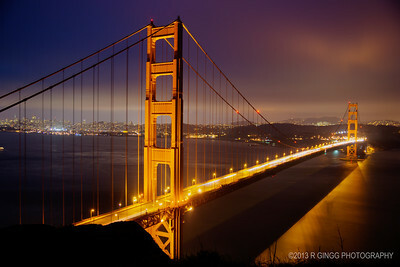 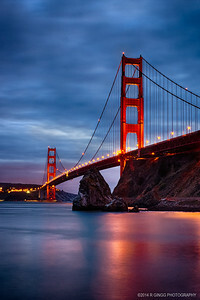 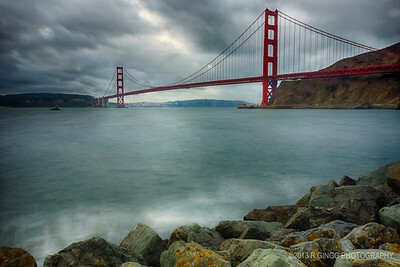 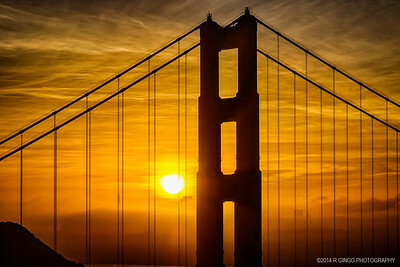 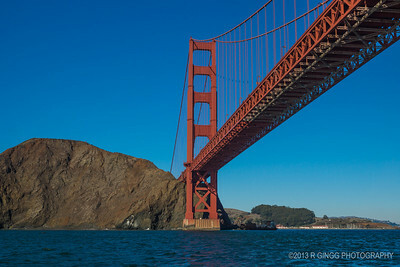 Early morning at the Golden Gate bridge. 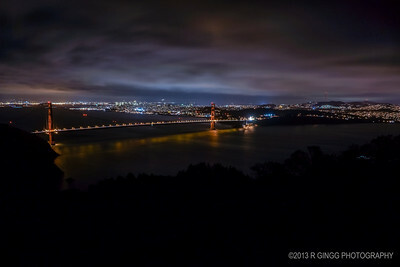 Two Photo HDR Panorama shot from Hawk Hill. 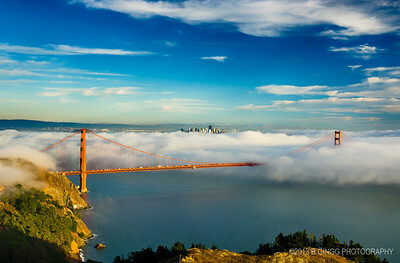 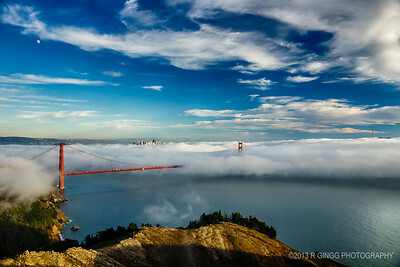 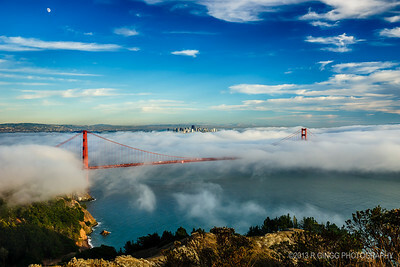 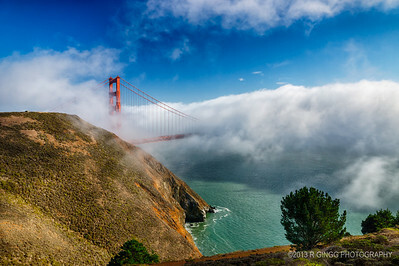 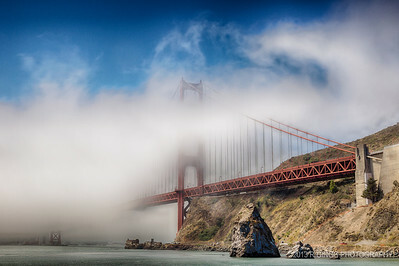 Golden Gate Bridge shrouded in fog.